He’s green. 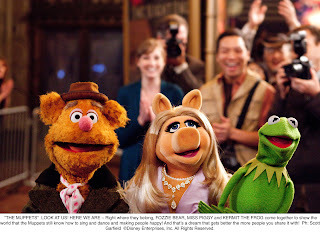 He has crazy friends, flippers, a penchant for pigs…and one of the most recognizable singing voices. And he’s coming to neighborhoods everywhere in 2012! 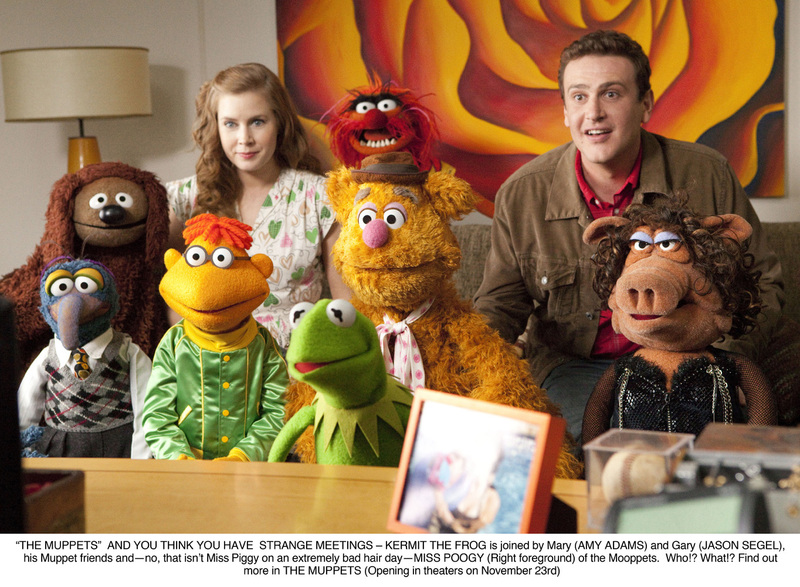 On vacation in Los Angeles, Walter, the world’s biggest Muppet fan, his brother Gary (Segel) and Gary’s girlfriend, Mary (Adams), from Smalltown, USA, discover the nefarious plan of oilman Tex Richman (Cooper) to raze Muppet Studios and drill for the oil recently discovered beneath the Muppets’ former stomping grounds. 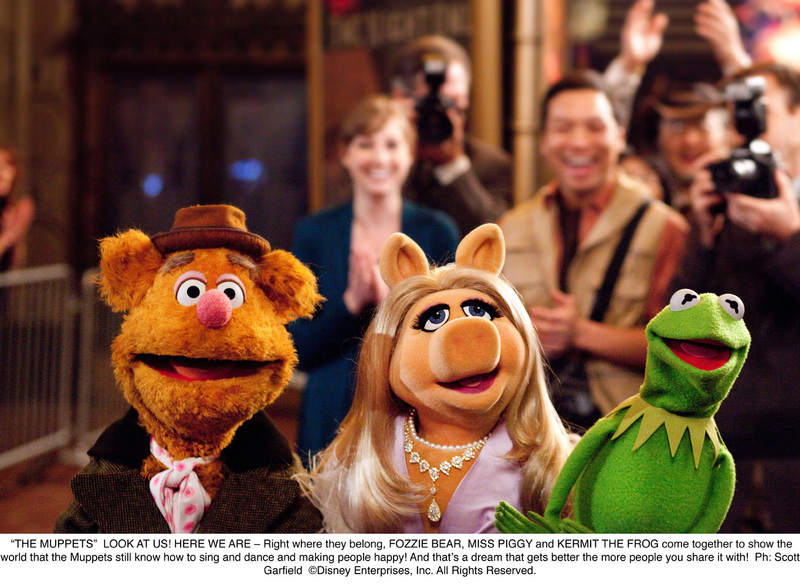 To stage a telethon and raise the $10 million needed to save the studio, Walter, Mary and Gary help Kermit reunite the Muppets, who have all gone their separate ways: Fozzie now performs with a Reno casino tribute band called the Moopets, Miss Piggy is a plus-size fashion editor at Vogue Paris, Animal is in a Santa Barbara clinic for anger management, and Gonzo is a high-powered plumbing magnate. 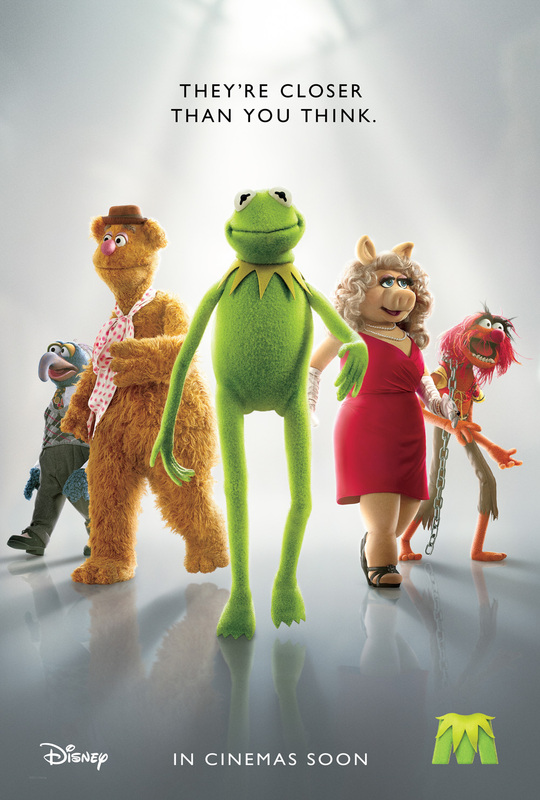 Disney’s “The Muppets” is directed by James Bobin (“Flight of the Conchords,” “The Ali G Show”) and produced by the Academy Award®-nominated team David Hoberman and Todd Lieberman (“The Fighter,” “The Proposal”) with a screenplay written by Segel & Nicholas Stoller (“Get Him to the Greek”). Bret McKenzie, who created, co-wrote, executive-produced and starred in the hit HBO television series “Flight of the Conchords,” is the music supervisor as well as the writer/producer of three original songs. 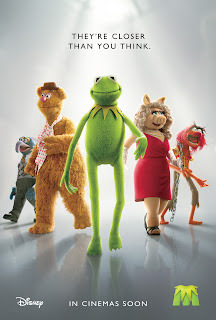 Opening soon across the Philippines, “The Muppets” is distributed by Walt Disney Studios Motion Pictures International through Columbia Pictures.